Gathering at Hallowcon before it became unplugged. Firetrucks and police cars. Evacuation to the parking lot. It was unnerving, I will admit. But unnerving was fodder for the crowd. Music continued, food appeared, the party just moved outside. Gathered in the parking lot. The emergency finally ended. 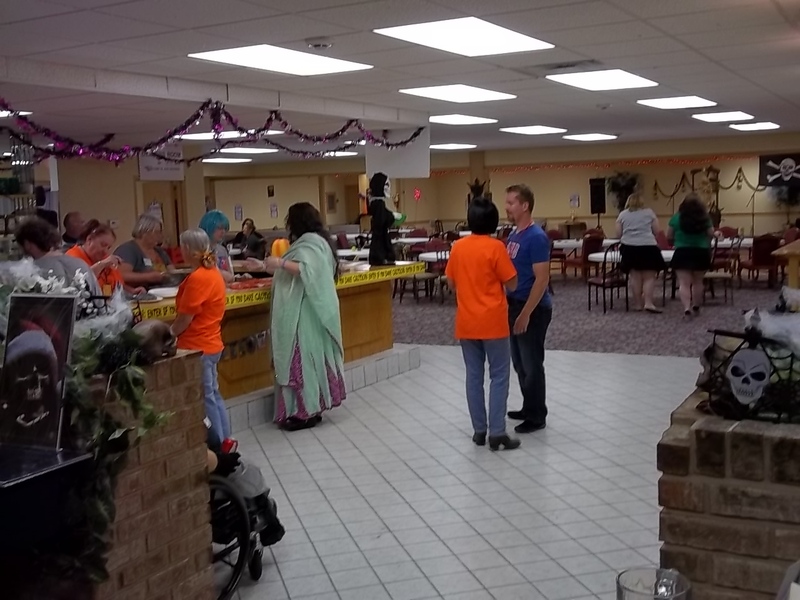 The fans went back into a candle-lit con, and partied like nothing had happened. I was there. I told ghost stories by candle light. I sipped wine with good friends, and new friends. I sold a few books. I had a wonderful time. 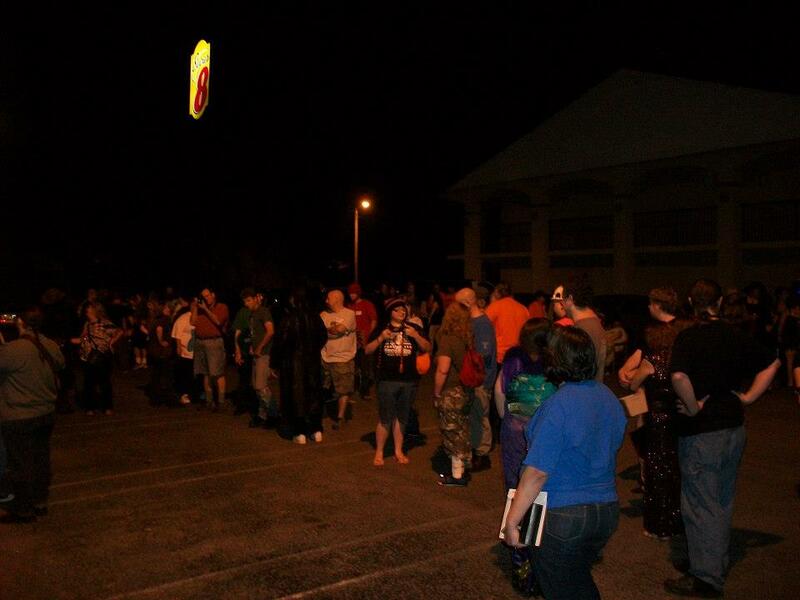 Hallowcon 2012 will go down in history as the con everybody remembers. If you weren’t there, I’m sorry. It was a time never to be forgotten. And the firemen were unofficially chosen by the fans as having best costume. Note: I don’t want to forget the man badly burned when the fire began. All our hearts go out to him and his family. Get well soon!